Need help removing your household rubbish? Our man and van rubbish clearance partners are here to help! 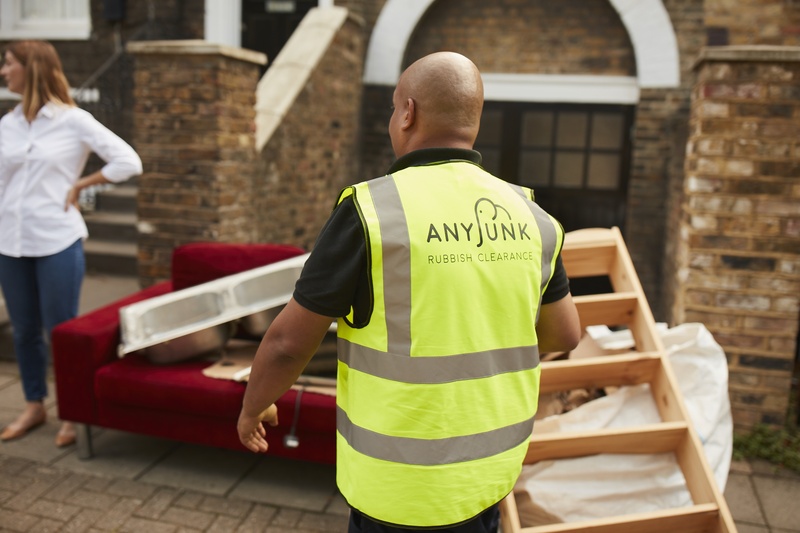 We have teamed up with AnyJunk, the UK’s largest operator for bulky household rubbish removal to assist you with your household waste removal needs. AnyJunk can help whatever your rubbish removal needs — removing unwanted heavy appliances or furniture to bigger rubbish clearance jobs from a general house clearance or home improvement project. Cheaper than hiring a skip. And you don’t have to do the heavy lifting. Book online or by phone choosing your most appropriate collection size and time. To secure the booking, AnyJunk take a deferred card payment (similar to checking into a hotel). On arrival, the team confirms the collection size. In the rare instance it’s different from booked, AnyJunk revise the quote and ask for your go ahead (or you can cancel at no cost). The team clears your junk from anywhere on the property and sweeps the area clean. On departure, they email you a waste transfer note including before & after photos. Your junk is taken to a licensed commercial recycling facility where on average 95% is diverted from landfill. Then AnyJunk debit your card and email you a final receipt. Furniture & bric-a-brac, Builders & repairs waste, Appliances (incl. fridges), Home improvement waste, Garden refuse, General rubbish & junk. Simply click through to Anyjunk, enter your postcode and get a price for your job. Rubbish removal prices start at £50 for small items (such as a two seater sofa) right up to 2 builders skips loaded with waste (cleared for around £348). AnyJunk collect over 40,000 tonnes each year of bulky waste, furniture, junk and broken appliances. These are passed on for reuse or taken to licensed commercial recycling facilities. On average 95% avoids landfill through reuse, energy recovery from waste, and recycling. A man & van collection typically creates less than half the carbon footprint of a skip. AnyJunk only visit site once per collection whereas skip lorries go once to drop off, then once to collect. Their innovative ‘platform’ model means average miles per AnyJunk collection is significantly less than traditional operators.